Whether you are commuting to work, working out, or simply on the toilet taking your morning dump, what better way to use the downtime than to listen to a few of the best self help podcasts available today? Getting your mind right is so important in everything you do, so we decided to line up our choice of the top 10 best self improvement podcasts. No matter whether you try to wrap your head around all, or just a few of these podcasts, they are guaranteed to help you wrap your head around everything else in your life! Where possible I have tried to include a video of the host. Although I love all of these guys, you might not like listening to them for whatever reason. To paraphrase what it says on their website: They will teach you how to more effectively run your brain using the tools you already have, while also adding new tools to your toolkit which will help you super-charge your life. To put it simply, there’s pretty much a whole bunch of incredible information you can start using right now. Aside from the podcast itself, their website has a wide variety of self help products which you might also find interesting. 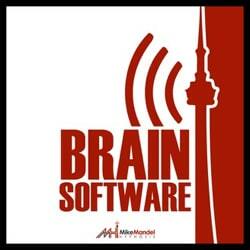 If you buy nothing else from these guys, at minimum check out the Brain Software videos which are an absolute steal (And I mean STEAL all caps!) at the price you pay for the information you get your hands on inside. Ben is a really down to earth guy, who covers a lot of interesting topics with relatable stories which really help the lessons to stick in your mind. Many of his podcasts cover ways to stop self-sabotaging, and “help you change your brain and turn your mind into an ally” using secrets of psychology, meditation, and practical neuroscience. If developing good habits is your bag (a master habit/skill in its own category that you must embrace) then the Habits 2 Goals podcast is going to be your new best friend. Martin digs deep, and I mean really deep, into this subject in this outstanding podcast that will, I promise you, change the way you approach goal setting forever. 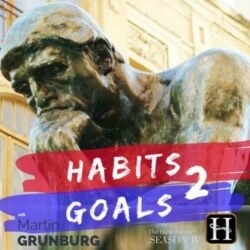 Aside from developing this extremely helpful podcast, Martin has also authored two books (The Habit Factor and The Pressure Paradox) and created the simple yet insanely powerful Habit Factor app which is available on Google Play and iOS devices. The following is a recording of Martin giving a TEDx talk on why creating supportive habits is the quickest way to achieve your goals. Not read the book ‘The ONE Thing’ yet? No problem, we’re here to drag you kicking and screaming out of that cave you must be living in, and straight into the path of its amazing philosophies. All in the shape of the podcast which goes by the same name. Geoff’s bio at entrepreneur.com tells us that Geoff’s passion “is helping others accelerate their success by surrounding them with the right mentors and the right ideas.” A sentence which is a lesson in itself! The podcast itself is there to “challenge our readers and followers to think bigger about their lives and give them the advice and tools they need to handle their bigger life”. Aside from the podcast, there is a whole bunch of helpful stuff over at their website, some of which is totally free, including a great 66-day habit tracking template. Here’s Geoff with episode 2 of the podcast. Here he covers how to get organized at work and be more productive. 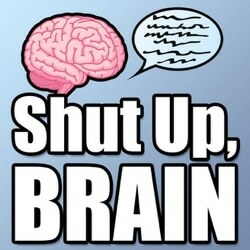 If you are going to be familiar with any of the podcasts on this page already, it’s likely this one. This could not only be thrown into the self improvement podcasts pile, it also covers business and too many other subjects to nail down here. 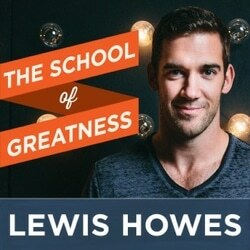 If you are interested in improving your life for the better and have yet to listen to this podcast, then you are truly missing out on a treat. Tim dives into the habits, routines, and rituals of top performers from a ton of different areas, and you’ll soon find out that even if you think you really need not listen to a particular interview as it is not a subject of personal interest, the lessons most certainly will spill over into your own life in various different ways. 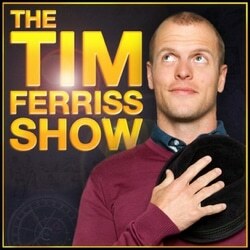 Although I’m sure Tim wouldn’t personally classify it as such, this is definitely one of the best self help podcasts ever, and features tons of famous guests that you have likely heard of, along with tons more interviews with many of the quiet geniuses that are probably unknown to you, but that you will definitely want to hear more from once you get a taste of their wisdom. Here’s a personal favorite of mine, an interview with the ‘Iceman’ Wim Hof, creator of the ‘Wim Hof Method’ and expert on breathing and cold therapy exercises. Getting into the habit of starting your day bright and early, with a morning ritual is a great way to get ahead. This is exactly what Jeff covers in his podcast. Jeff is the best-selling author of the book ‘The 5AM Miracle’ and ‘The Free-Time Formula’ as well as being an ultramarathon runner and productivity coach. 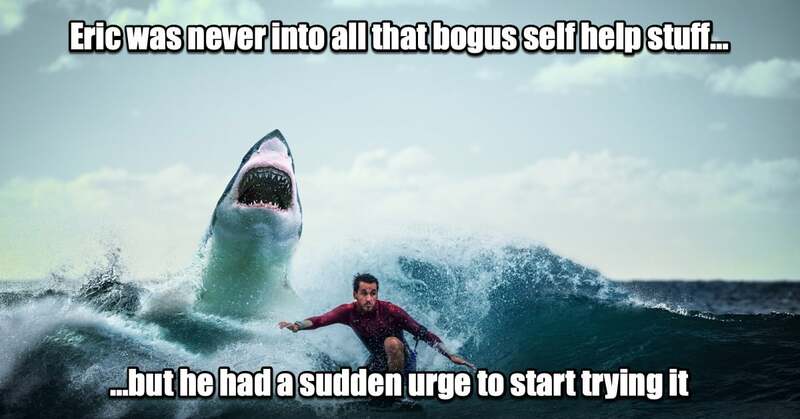 This guy knows how to move the needle and get stuff done! The main themes covered are “early mornings, healthy habits, personal development, and rockin’ productivity”, a combination of topics that Jeff covers either with guests or alone. 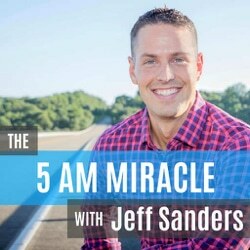 As you might have already noticed, once again, our core theme here is ‘habits’, but what I love about The 5AM Miracle however is the energy Jeff attacks the subject with, and how he teaches you to crush your most important goal before other people are even out of their beds. Below of an interview with Jeff courtesy of Johnathan Levi from becomingasuperhuman.com (one to add to my listening list!) in which Jeff and Johnathan dig deep into how to start hacking your mornings and creating productive days. 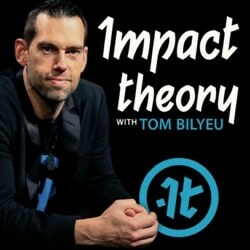 If you want even more depth on what Impact Theory is about, however, I suggest taking a look at the Impact Theory belief system in 25 points which should tell you right away if this podcast is for you or not. What do the podcast episodes involve? First of all, the interviews are recorded in a studio in video format, so if you prefer to digest your information in that medium the option is open. Guests usually speak about the subjects of business and mindset and Tom has an inquisitive mind, familiar with both subjects, so he is great at asking the right questions and then crystallizing the nuggets within the answers for his audience to digest. Below is a mashup from Impact Theory and Tom detailing 10 Brain Hacks from the World’s Highest Achievers. 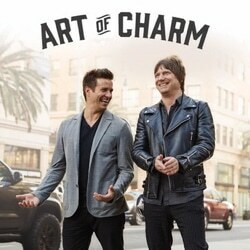 Unfortunately, I had to stop listening to the Art of Charm podcast, I was getting too damn charming, which probably shows through in my writing… more than likely. Just kidding, I’m about as charming as a turd tied to a brick, that has just been thrown through your living room window. The goal of the Art of Charm podcast? Jordan and AJ are both incredibly knowledgeable in the intricacies of relationships and human interaction. This goes not only for naughty time relationships, (I know you were thinking that, don’t deny it!) it also goes for both social and business interactions in your everyday life. Not only do they come out with great guest podcast episodes, they also answer the questions of their listeners so you get to hear solutions and suggestions to real-world problems which makes it all the more relatable, and definitely one of the best podcasts for self improvement with regards to business and personal relationships. There’s no getting away from it, although learning can be a lot of fun and something that brings meaning and vital skills to your life, learning stuff can also sometimes seem like a drag. Either way, why not learn faster and more efficiently? 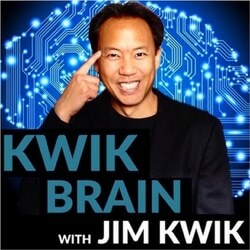 Enter Jim Kwik and the Kwik Brain podcast. The episodes are usually in bitesize chunks of under 20 minutes and the information within, if put to use, will help you fill your brain with the knowledge of your choice in a fraction of the time it takes with conventional learning methods. Why the hell wouldn’t you listen to what he has to say? Below is s a 5-minute video from Jim outlining the basics on how to learn anything in half the time with the Jim Kwik FAST method. I would also urge you to check out Jim’s video on how to read a book every week, listen closely and you may notice some interesting parallels with Martin Grunburg’s system of developing habits. The goal of the School of Greatness is to share inspiring stories from the most brilliant business minds, world-class athletes and influential celebrities on the planet to help you find out what makes great people great. Rather than go into Lewis’s backstory myself, I think this short video of Lewis appearing on the Ellen show can do far more justice then the written word. Pretty impressive huh? And a dashingly good looking fella whose looks almost rival my own… in some parallel universe where the human eye works completely differently. 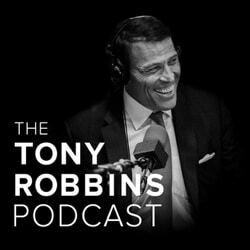 Any list containing the best positive podcasts would not be complete unless Tony Robbins was in it somewhere, so this bonus entry is last, but certainly not least. It’s almost certain you know Anthony Robbins, but maybe you missed the fact that he had a podcast out? For those of you who are not familiar with Tony, I really don’t know where to begin telling you about this mans achievements so I figure it’s best you quickly take a look at his short bio over at his site. You won’t find him lacking, that’s for sure. In this next video, we’ll hear episode 11 of the podcast titled ‘The Psychology Of Success’ in which Tony Robbins and Peter Diamandis talk to Joe Polish about “the challenge in succeeding in business and establishing a successful mindset”. Over to you, do you agree with our pick of the 10 best self help podcasts for 2018? If not, who do you think made the best personal development podcasts 2018 had to offer? Let us know in the comments, we’re always on the lookout for great learning resources here at HOG! Why are there only men listed for having great self help podcasts? Of 10 suggestions, not 1 can be a women? 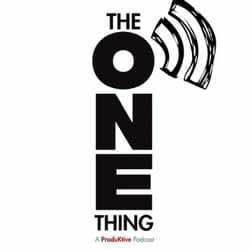 Whether you are commuting to work, working out, or simply on the toilet taking your morning dump, what better way to use the downtime than to listen to a few of the best self help podcasts available today?Getting your mind right is so important in everything you do, so we decided to line up our choice of the top 10 best self improvement podcasts.No matter whether you try to wrap your head around all, or just a few of these podcasts, they are guaranteed to help you wrap your head around everything else in your life! 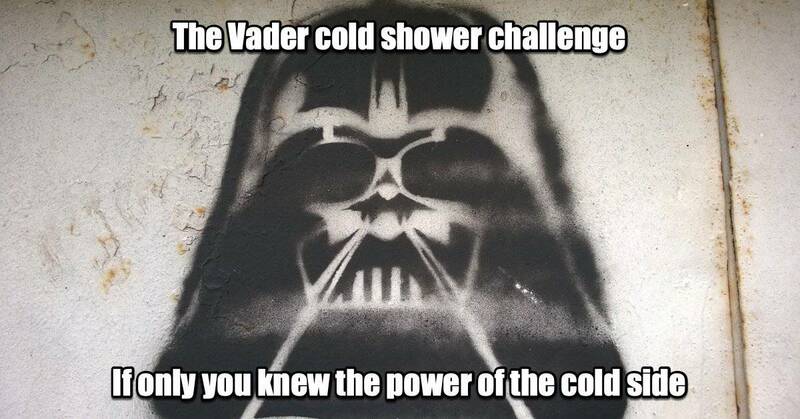 Take the Vader cold shower challenge today!Control your fear and YOU can reap the massive health benefits of cold showers. You can do this. Search your feelings, you know it to be true!KHOOOOH PUUUHRR... KHOOOOH PUUUHRR... Impressive. Most impressive.